Does drinking instant coffee give you big hands? Yes i think they probably think we are stupid - upon seeing this advertisement I immediately went out and bought some nescafe as I have always wanted bigger hands. 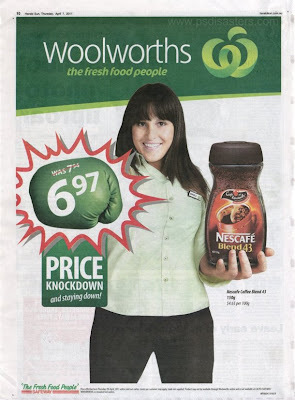 Given that she's only about 4 or maybe 5 coffee jars tall, she's awful short to be having such large hands.